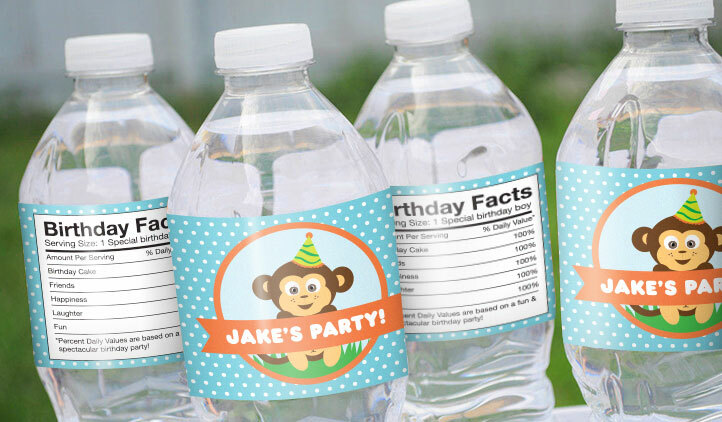 Make your own birthday labels to match the theme of your child's big party, for everything from water bottle labels, favor labels, goodie bags, and to/from labels! 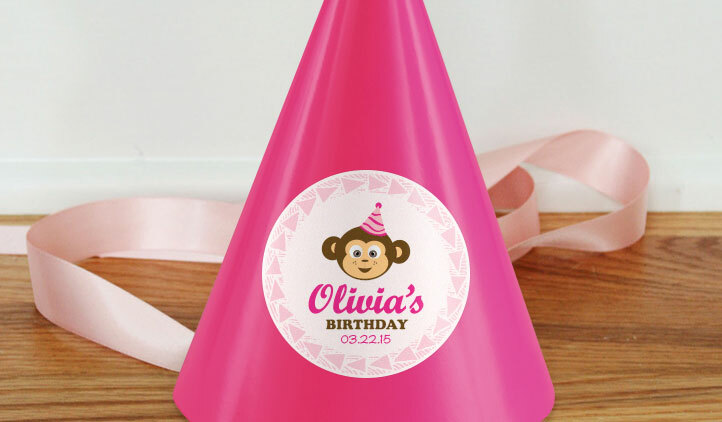 Make custom labels for your next party with birthday labels from StickerYou! Make address labels for the invitations, save the date stickers, labels for favor boxes, party favors, birthday decorations, and thank you stickers! Looking for birthday ideas? Make some fun personalized candy, including Hershey’s Kisses or other chocolate. Make a round label at 0.75” for a perfect fit, and upload a photo of the guest of honor, their name, or fun designs. 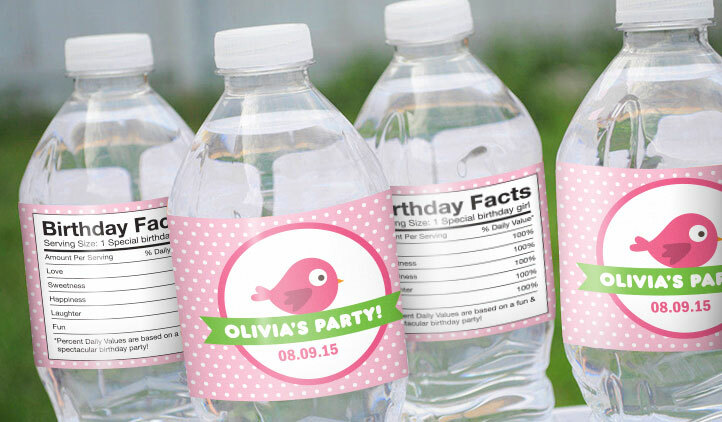 To keep your guests hydrated and having fun, make water bottle labels, to go with the theme of the party. 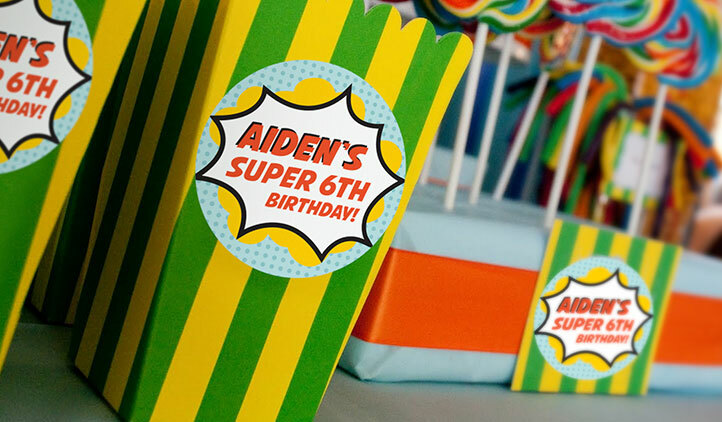 For the food table, make labels for all the different foods and the most common question, “what kind of cake is it?”, all with the same label design or mix it up with different artwork! For the day of the party, make some name tags so guests will have no trouble remembering everyone’s name that they’ve just met! You can make your labels to match the theme or colors of your party. All you have to do is upload your artwork to the sticker maker! If you want to write on your label later, you can print your stickers ahead of time and write on them later with a pen or marker. So whether you’re wanting a princess party for the kids, or a 60th milestone party, find all your labels to celebrate at StickerYou! Malls are packed, stores are out of stock, ship dates are now too late, and you still have a few gifts to get. It's ok, we've got your back. These are easy, fast gifts made from item that are pretty much guaranteed to be available. StickerYou's Signature wall decals are a great way for you and your child to add personalization to your child's space. Its fast, easy, mess-free and you can do it together.